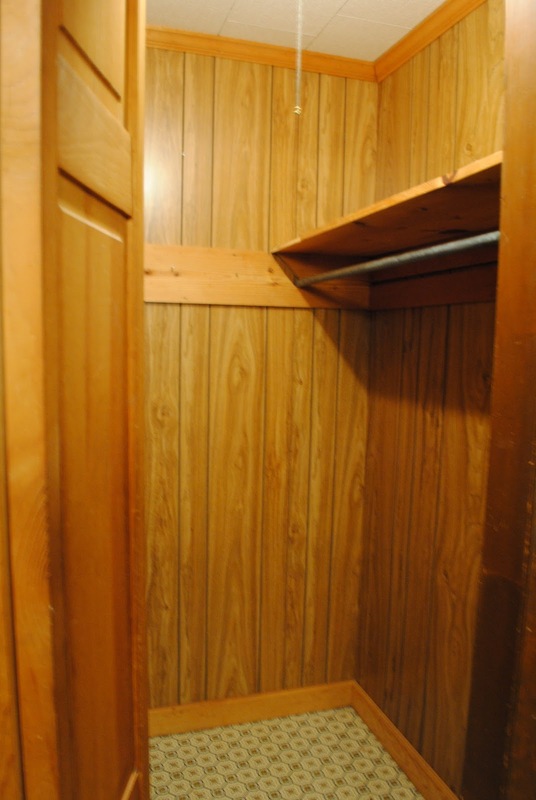 So this weekend might not have been as productive as I hoped - or maybe this little closet/laundry revamp is just going to take a lot more time than I originally thought, either way, we're taking it one step at a time over here. 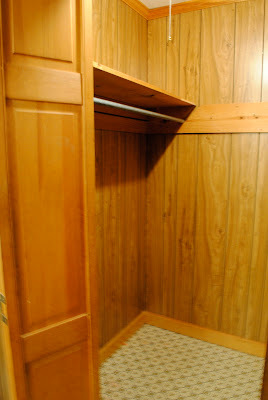 My hope was to get the closet at least totally primed and even get all of the trim painted white. I know it's not a huge improvement but it's definitely a start. We now have a nice clean and empty space to work with. This has now added fuel to the closet project fire. Now begins the tedious task of purging and creative organizing - I say creative because we have quite a small space we are working with, as well as a small budget. Hopefully some light bulbs will go off soon about what to do. Maybe today's nap time will be rather productive. 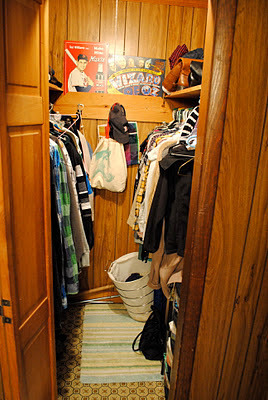 Our life can be like this closet sometimes - overstuffed with things, some of it junk, some of it guilt from the past, some of it good. In order for us to have a clear vision and understanding of God's precious love and grace we need to purge and re-organize. What are some things we are holding onto that holds us back from experiencing God's abundant love and mercy? - They need to be purged, given to God and let go of. Some of us are holding onto sins - junk that we just can't part with, that too hinders our faith and allows disobedience to creep in. Some of us put importance on things that really aren't that important and then life gets messy - we need to re-organize our heart in this way: Loving Jesus should be the most important, and loving your neighbors second. When we get rid of all that junk and reorganize our heart we can celebrate and rejoice in the blessings that Christ has poured out on us because our focus becomes clear - our sights are set on things above. So here we go, the cleaning and re-organizing and remaking of a closet leads to a heart check too. God is awesome! Ephesians 5:1-2 Be imitators of God, therefore, as dearly loved children and live a life of love, just as Christ loved us and gave himself up for us as a fragrant offering and sacrifice to God. We're working on our 'junk' closet right now too. 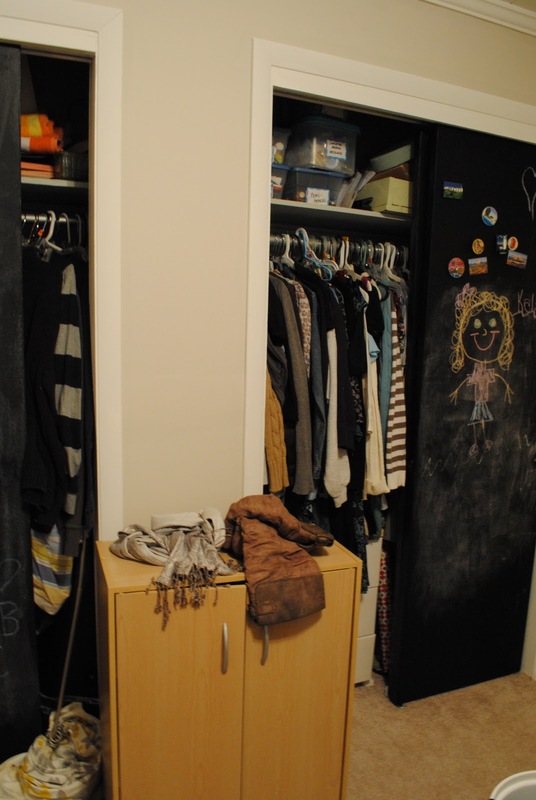 Your empty, ready-to-be-organized closet is definitely an inspiration. Looks like you have made great progress on your "jumk closet!" Remember....a journey of a 1000 miles begins with a single step! A positive first step! No where better to start with than a clean plate! Amen!!! Such a great post and wonderful reminder. This is my first time on your blog and I'll definitely be back.